Designed to wear outside of the waistband, snug against your body. 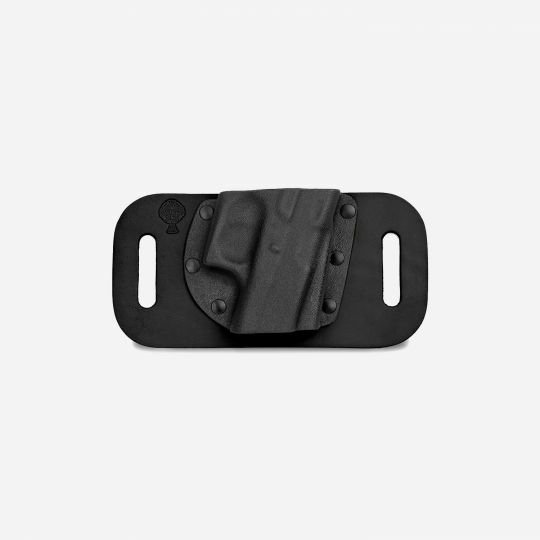 The CrossBreed® SnapSlide is an outside of the waistband holster designed to keep your firearm close to your body. This belt slide-style holster has belt slots that measure 1.75 inches; this works best with a 1.5 or 1.25 inch belt. The design is to have your firearm high and tight, just behind the hip on your strong side, and lay flat for concealment under a loose shirt. As with all of our holsters, the SnapSlide holster comes with our “Two Week, Try it Free Guarantee” and a Lifetime Warranty. Order your CrossBreed® Holster and begin Carrying the Cross with the most concealable and comfortable holster on the market today. Premium black cowhide leather backing. Molded and mounted kydex pocket.